Blog swaps are so much fun. Especially when you can meet amazing bloggy friends like Chloe! She sent me an adorable note that made me smile tons - waterproof mascara (yay) and 2 very pretty lip glosses!! The one on the right I've been using daily - it's glides on so easily and stays a lot of the day!! Glad ya'll had fun swapping! Thanks for joining in! this was such a fun idea! I love mascara and couldn't live without it!! she sent you such great products!! Don't you just love getting surprises in the mail? Love it! Looks like you got great stuff! Great stuff! I LOVE your new look too! 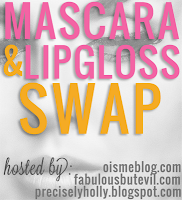 OOOOHHHHH...I wanna do a blog swap! It looks super fun! 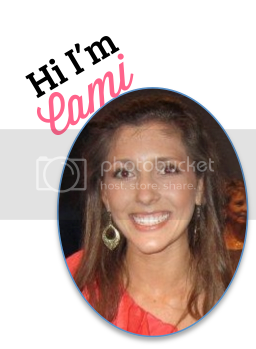 I love the loot you got Cami!